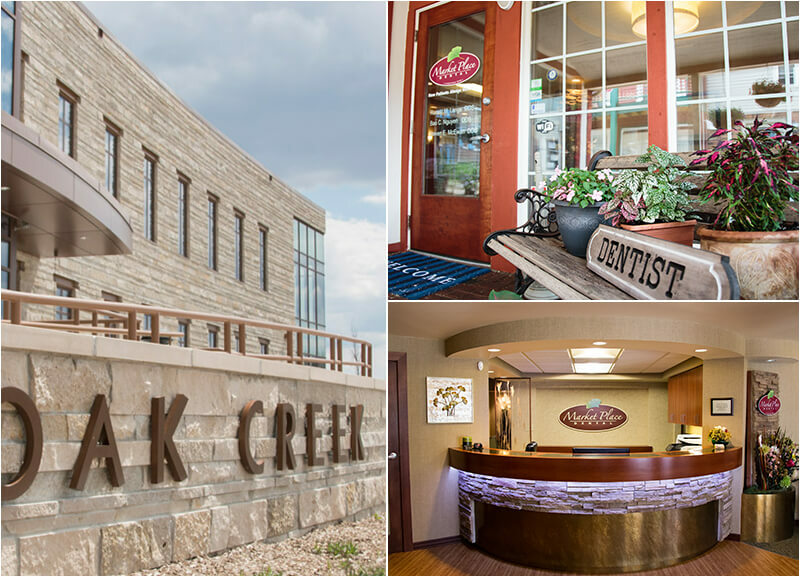 Market Place Dental has been a part of The City of Oak Creek since 1978, and our team is 100% focused on exceeding expectations in quality and service. We’ve been a part of Oak Creek for over 39 years. Open Saturday and until 8 pm three days a week. We will work with your insurance to maximize your savings. The latest tools allow us to provide better quality. Paraffin hand treatments, pillows, blankets and more. 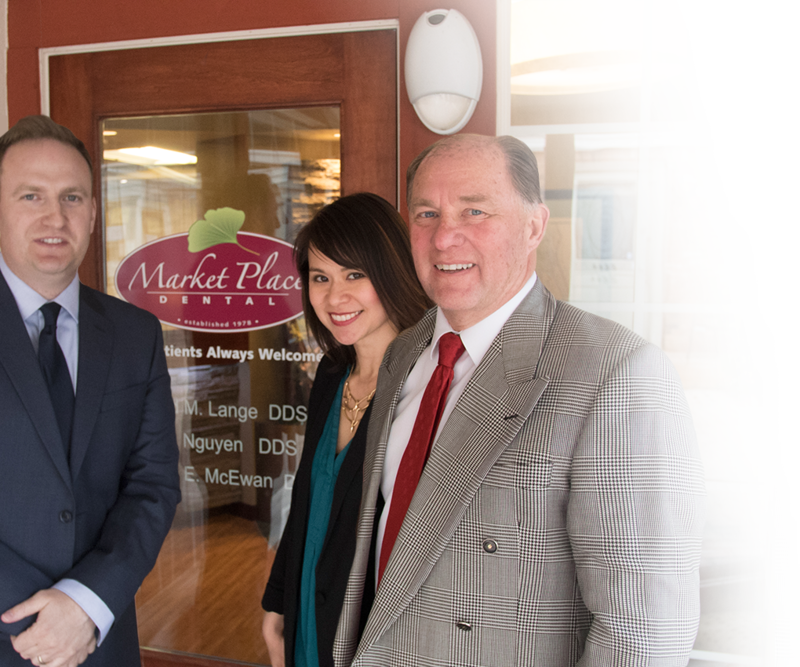 At Market Place Dental, Dr. Lange, Dr. Nguyen, and Dr. McEwan all believe in a simple goal – providing caring, compassionate dentistry that focuses on building relationships first. We are locally owned and operated and we pride ourselves on providing thorough and excellent treatment options for our patients. We’ll always give you the ethical support and personalized treatment plan you need to enjoy the healthier, happier smile of your dreams. I cannot think of enough positive things to say about Market Place Dental! They are absolutely wonderful. I have been going to them for at least two years, and right from the start the whole team is friendly and welcoming. Everyone is so friendly and nice. Very, accommodating and flexible to work with our schedules. The best place I've ever been. Dr. Nguyen is the best. This is practically the only place open on nights and weekends in the state. The staff is also the best. Friendly, easy to work with. Here in Oak Creek, we want to help patients of all ages enjoy strong, healthy smiles for life – that’s why our team strongly recommends comprehensive checkups every six months, or twice each year. During these visits, our dedicated doctors and staff members will take the time to form an in-depth understanding of your oral health needs, recommending treatments as necessary to solve problems when they’re still small and easy to fix. Children, parents, grandparents – you and all of your loved ones are always welcome here! When a tooth becomes worn down, decayed, or injured, a custom-made dental restoration may be necessary to help replenish the structure’s former shape and strength. Dental crowns from Market Place Dental are precisely designed and crafted from high-quality materials that create long-lasting improvements patients can count on. Alternatively, our doctors may recommend a bridge in cases where one or more consecutive teeth have been lost, providing a sturdy and permanent replacement that helps your smile remain wonderfully whole. If you’re ready to fix misaligned teeth and gaps in your smile, talk to our Market Place Dental doctors about the possibility of pursuing orthodontic treatment! 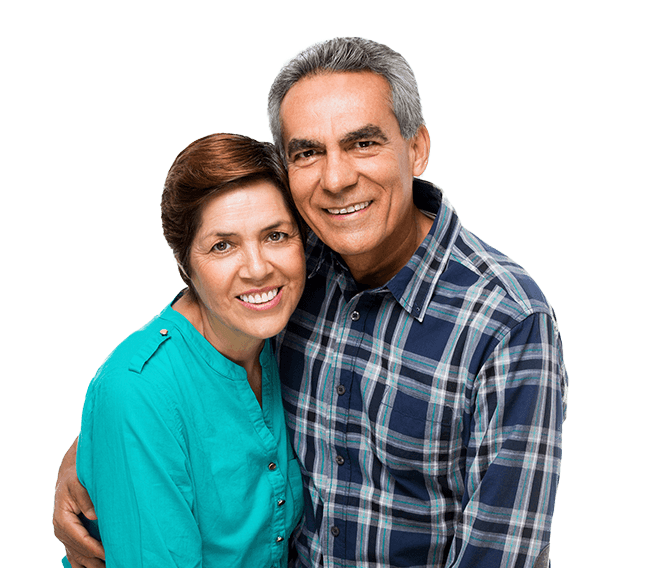 We offer multiple options so that our patients can be sure to select the one that best fits their personal needs and preferences. Traditional braces are an age-old technique that still creates exceptional, reliable results for children and adults alike. Does your smile turn into a frown when you glimpse your teeth in a mirror? Aesthetic imperfections like yellowing, chips, and cracks can be frustrating, but they don’t have to be permanent. Here in Oak Creek, our doctors offer several transformative cosmetic procedures, including customized porcelain veneers that are designed to cover certain teeth from view with a brand-new, flaw-free appearance. Veneers are seamlessly beautiful and strong – they even resist staining better than your natural tooth enamel! Do you notice your gum tissue bleeding when you brush and floss every night? This is a likely sign of gum disease, a common and dangerous health problem that is actually the leading cause of tooth loss among American adults. During regular checkups, you can trust that our Market Place Dental team will be keeping a close eye out for suspicious symptoms, and deep cleanings and other effective therapy options are available when needed to banish infection and restore the level of oral health you deserve. When a severe dental injury or oral pain strikes, time is often of the essence – that’s why it’s so important to remain calm and reach out to a team you know and trust immediately for support. Here in Oak Creek, our doctors will do everything in their power to see urgent cases ASAP, often on the very same day as your initial call. We’re committed to providing fast relief, as well as valuable first-aid tips and guidance for how to help you and your family’s smiles stay safe in the long-term. About Emergency DentistryIn Pain? Call Us Now! Market Place Dental has been serving patients from the Oak Creek community and surrounding areas for nearly 40 years, and we do our part to make this amazing neighborhood as wonderful as it can be for our neighbors. Dr. Lange, Dr. Nguyen, and Dr. McEwan regularly donate to local charities, participate in the Chamber of Commerce, and donate free dental care to underprivileged people through organizations like Mission of Mercy. Our whole team loves giving people reasons to smile in all sorts of different ways! We are happy to announce that we are now Invisalign® providers. Call our office in Oak Creek to learn how we can straighten your smile!